Odour is a tricky issue. Using a formal approach: Identify-Analyze-Solve, quickly. ORTECH has been helping clients resolve odour issues for over 30 years. We can sample, test, report on, and testify about Odours. Procedures for the collection of odour samples, evaluation of these samples using an olfactometer and community odour surveys have been developed by ORTECH during this period. Many of these developments have been presented as scientific papers and incorporated into official testing protocols recognized by provincial and international agencies. Dispersion modelling analysis to predict off site odour concentrations at sensitive receptors or possible compliant areas. Odour consulting including expert testimony. Steve Thorndyke, Principal, Odour Assessment & Analytical Laboratory Services, P.Eng. Do you have industrial odours that need to be removed or mitigated? ORTECH has the experience to find the right odour control solution for you, call us today. Industrial, commercial or municipal facilities use control equipment to reduce or remove unwanted odours from air. ORTECH will assess your situation and investigate the variety of industrial, commercial and municipal odour control solutions to find the best fit. ORTECH understand that each odour problem is unique and therefore requires a customized strategy. We can assist in evaluating and managing the odour, whatever the cause. ORTECH's Approach to Odour Control? ORTECH will conduct a thorough investigation which may include field measurements and analysis to identify and quantify the cause of odour in support of the selection, design and install of odour control solutions. ORTECH understands the components that cause odours and how to determine the correct industrial, commercial or municipal odour control solution to meet your requirements, air quality regulations, budget or other constraints. ORTECH's Odour Control Expertise Comes From Our Consulting Experience. ORTECH has provided odour assessment and analysis services for over 40 years to our industrial, commercial, municipal and other clients in Ontario, other Provinces, the United States and occasionally in other countries. ORTECH has well developed procedures for the collection of odour samples or specific compounds that cause odour, evaluation of odour samples using an olfactometer as well as the conduct of community odour surveys. Many of these developments have been presented in scientific papers and incorporated into official testing protocols recognized by provincial and international agencies. ORTECH has a long history of air quality testing and permitting in Ontario, including an industry-leading odour division. ORTECH has been helping clients resolve odour issues for over 40 years. We can sample, test, report on, and testify about Odours. Procedures for the collection of odour samples, evaluation of these samples using an olfactometer and community odour surveys have been developed by ORTECH during this period. Using a formal approach to identify, analyze and solve an odour issue, quickly. ORTECH provides dynamic and creative solutions that are flexible. Solution construction, commissioning and performance verification. Our over 40 years of experience has helped us develop a client friendly engagement process based on the motto “Educate-Plan-Execute together”. First, ORTECH strives to Educate you on the risks, so you understand the implications of inaction versus action. Then, we Plan the solution ensuring your individual needs are integral to the process. Finally, we Execute the plan and deliver the results, either through implementation of a specific solution, test report, permit application or due diligence review. Odour Impact Assessments are becoming more common place as municipalities and land use planners struggle with development in proximity to facilities that emit odours. If you need to conduct an Odour Impact Assessment, please contact Steve Thorndyke. What is an Odour Impact Assessment? odour dispersion modelling studies: To better evaluate the odour potential from facilities and process changes, ORTECH uses advanced dispersion models such as ISCST3/Screen3, ISCPrime and AERMOD. The models predict the maximum off-property odour concentrations, plotted as isopleths overlain on topographical maps of the surrounding area. Locations of community complaints can be plotted and correlated with modeled results. The frequency and severity of odour threshold exceedence in the community can be predicted to help industry with abatement planning. odour exposure assessment by direct field inspection: Point sources of odour emissions at a facility are defined as sources where the emissions are enclosed by stacks and vents, prior to release into the atmosphere. Conditions in Certificates of Approval (Air) and other air permits frequently require that compliance odour testing is carried out at such sources if emissions of odour are potentially significant or the testing may be required as a result of odour complaints. real-time odour monitoring and exposure profiling: Odour emission rates can be estimated by collecting air samples and determining the odour threshold values (OTVs) using sensory evaluation techniques. Air samples are usually collected by the dilution sampling procedure, which minimizes the loss of odorants by adsorption, condensation or oxidation. For open sources, odour sampling might be conducted using a lung or flux chamber technique. OTVs are used in conjunction with volumetric flow rates to calculate odour emission rates from the source. odour complaint analysis and community monitoring: When many emission points or fugitive sources contribute to community odour complaints, trained observers are deployed in a structured evaluation protocol throughout the community. Observers record the intensity and character of odours. The data from this assessment can be interpreted to determine potential sources and impact of the odour. The resulting data can also be used to confirm odour dispersion modelling results. ORTECH routinely conducts point source emission testing programs for all types of sectors including rendering plants, sewage treatment plants, composting facilities, paint spray operations and the food processing industry. For these programs, a number of odour sampling procedures are available for use depending on the characteristics of the point source emissions such as the gas temperature, the presence of moisture in the gases and the expected odour concentration. With the New Environmental Activity and Sector Registry ("EASR") you will be required to develop an Odour Management Plan. In some cases, an Best Management Practices Plan ("BMPP") for odour and an Odour Control Report may also be required. Below describes the process in more detail. Please reach out to us if you have any questions. Regulation 1/17 of the Ontario Environmental Protection Act allows many low risk facilities to operate under the EASR instead of under an Environmental Compliance Approval ("ECA"). Facilities which are registering under the EASR must prepare an Emission Summary and Dispersion Modelling ("ESDM") Report. Other required reports include a Noise Report and an Odour Screening Report. The Odour Screening Report involves the determination of the primary North American Industry Classification System ("NAICS") code for the facility and calculating the setback distance from the source of odour emissions to the closest point of odour reception beyond the facility property. This distance is compared with the minimum distances which are provided for each type of NAICS facility and may differ for each type of facility. Many types of receptors are defined but they are generally places where people live, work, visit or may otherwise be present, but does not include all types of receptors. If applicable, a BMPP for odour and an Odour Control Report may also be required for facilities whose operations are defined by the NAICS code. A BMPP is required if the Odour Screening Report shows that there in an insufficient setback distance between an odour emission source and the closest point of odour reception. For each source of odour emissions from a facility, including fugitive sources, the BMPP must identify potential reasons why the odour emissions may increase occasionally, odour control measures already existing at the facility, procedures to ensure that the control measures are properly maintained, operated and monitored. The BMPP also requires that additional measures to control odours are identified and a schedule is prepared for their implementation. For facilities with specific NAICS codes and insufficient setback distances, an Odour Control Report may be required. This report must include a list of odour control measures or process changes which are used at similar facilities with the same NAICS code in Ontario or elsewhere, determine which of those measures are technically applicable to the applicant’s facility and, if necessary, explain why the list of measures or changes may not be applicable for reducing or eliminating odour emissions from the facility. ORTECH is also experienced at providing odour expert witness testimony at trials, hearings and tribunals. To verify odour complaints from neighbors and to demonstrate there is an adverse odour effect in the vicinity of industrial, municipal or agricultural facilities, structured community odour surveys are conducted by ORTECH. These surveys use independent, trained observers to assess any odours at both upwind and downwind locations. These assessments usually include an evaluation of the character, hedonic tone and intensity of any odours, and may be supplemented by the collection of ambient odour samples followed by the determination of the odour threshold values using the olfactomer. Results from these surveys are acceptable to the Ontario Ministry of the Environment and Climate Change when they are investigating odour complaints and they are very useful for identifying the contributors to community odours in areas where there are multiple odour emission sources. ORTECH can also develop an odour complaint tracking protocol to ensure complaints are recorded, verified and the appropriate actions are taken in a timely and cost effective manner. Point sources of odour emissions at a facility are defined as sources where the emissions are enclosed by stacks and vents, prior to release into the atmosphere. Conditions in Certificates of Approval (Air) and other air permits frequently require that compliance odour testing is carried out at such sources if emissions of odour are potentially significant or the testing may be required as a result of odour complaints. 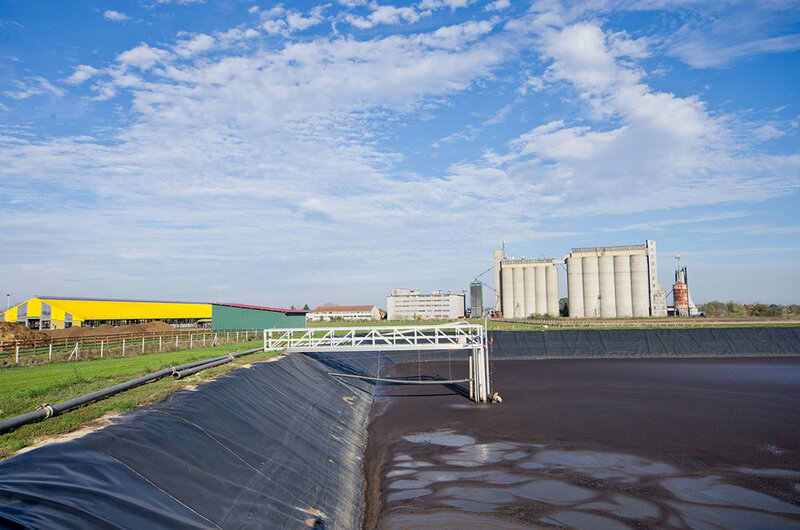 Fugitive odours are discharged from sources such as a storage pile or pond which do not have a well defined release point such as a stack or vent. ORTECH has developed procedures for determining fugitive odour emission rates which depend on factors such as the location of sampling probes, locations and dimensions of nearby buildings and structures and the weather conditions at the time of sampling. Emissions from fugitive sources are frequently significant and they are often overlooked when surveys of emission sources are conducted at a facility. These fugitive sources may also include truck loading and off-loading operations, drains, windows and liquid or solid spills. An example of a significant fugitive emission is the turning of a windrow at a composting facility. The evaluation of an odour sample collected at a source or during an ambient survey involves a determination of the odour detection threshold value and other odour parameters using an odour panel with an olfactometer. An odour panel is a group of six or more people screened to have a “normal” level of odour sensitivity and who are trained to assess odours. An olfactometer is a scientific device which is used to accurately dilute an odorous sample before it is presented to the panelists. ORTECH has been using odour panels and olfactometers to evaluate odour samples for over 30 years. The ORTECH olfactomer has been designed and is operated to give results which are superior in both accuracy and precision and can provide lower levels of detection compared with other olfactometers which are used in Ontario and elsewhere. The ORTECH olfactomer is used for compliance testing and has also been used to screen and train Ontario Ministry of the Environment and Climate Change inspectors, to gather evidence in support of defense or prosecution of odour offences. 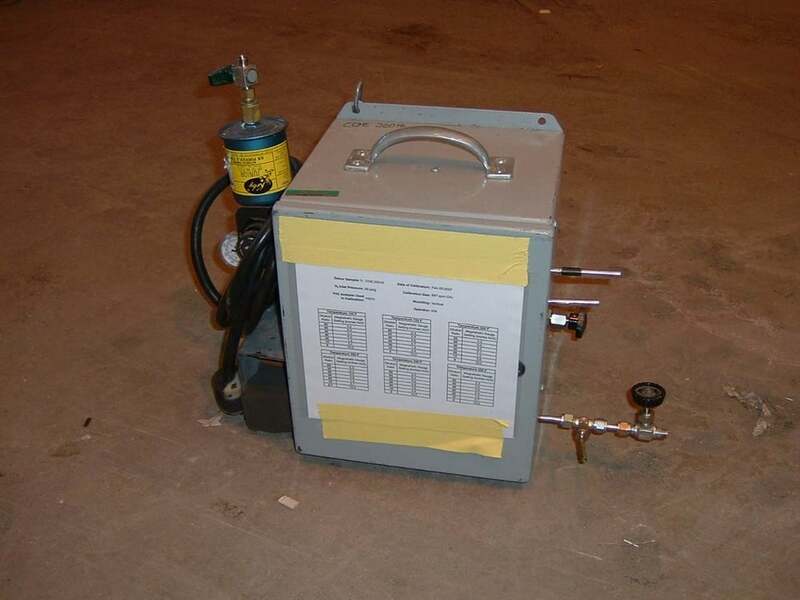 The planning and installation of controls, such as biofilters, scrubbers and oxidizers, for the prevention of odour complaints usually requires testing to determine the odour emission parameters such as the odour concentration and flow rate of an emission source as well as emission data for specific odorous compounds. These parameters allow the type and size of controls to be selected. Odour complaint prevention may also include the installation of stacks to adequately disperse odour emissions or a change in procedures or a raw materials which have a lower odour release potential. Examples would be the reformulation of paint to include solvents with lower odour threshold values or changes to packaging material to prevent residual odours on a product. Prior to developing specifications for odour control equipment, ORTECH will provide the required information such as flow rate parameters, odour emission data and emission data for the contaminants responsible for the odour. Following installation of control equipment, ORTECH is approved by the Ontario Ministry of the Environment to conduct compliance odour testing of the control equipment to determine that it is performing within Certificate of Approval performance limits. The efficiency of the equipment for removing odour and odorous contaminants may also be determined.